Mould it! Build it! Crush it! Kinetic Rock is made from real natural rock that magically sticks together! Use the included mould to create boulders. Then use the vehicle’s claw to pick up the boulder, transport it, and dump it. You’ll have help from the poseable construction figure that fits inside the vehicle. Now use the rock crusher to turn moulded bounders into rock! Flatten out and smooth the rock with the tamper tool. 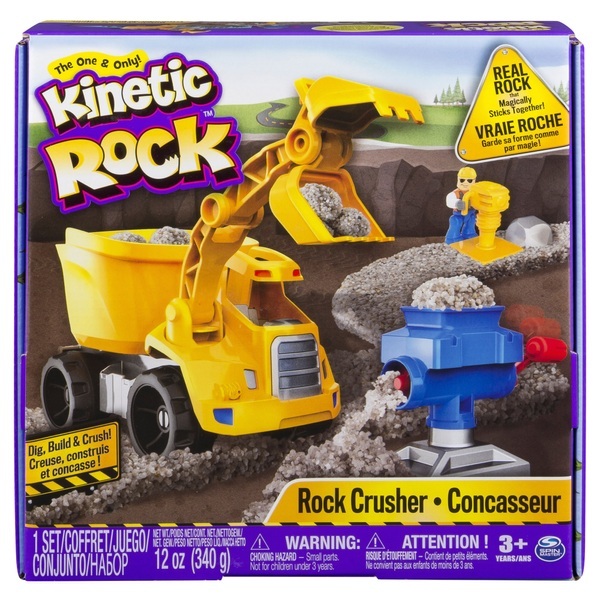 The all-new Kinetic Rock Crusher Set provides real construction fun!